Our hotel consist of 11 spacious apartments for 2-6 persons, all with a fantastic view over the sea. The accommodation has all the comfort and facilities you need to make your holiday relaxing and pleasant. Aspes Village is situated in the beautiful and calm golf of Agios Pavlos just outside Aegiali. You have the beach just in front of the apartments and the bath boats which go over to the island of Nikouria. 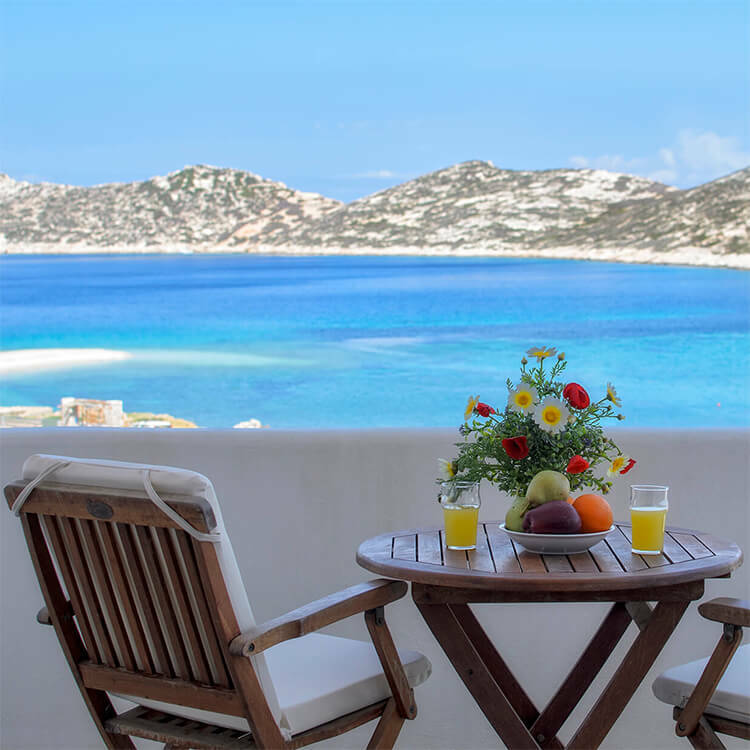 AKROGIALI is our other accommodation is situated in the centre of Aegiali in a quiet and calm area close to the port and the beach. It consist of 13 studios and rooms which can accommodate up to 5 persons. AMORGOS is in the south east Cyclades in Greece, it’s still an unspoiled island and the spectacular nature is full of scenic walks. Here you will find ancient culture, outdoor recreation and hospitality in a relaxing atmosphere. 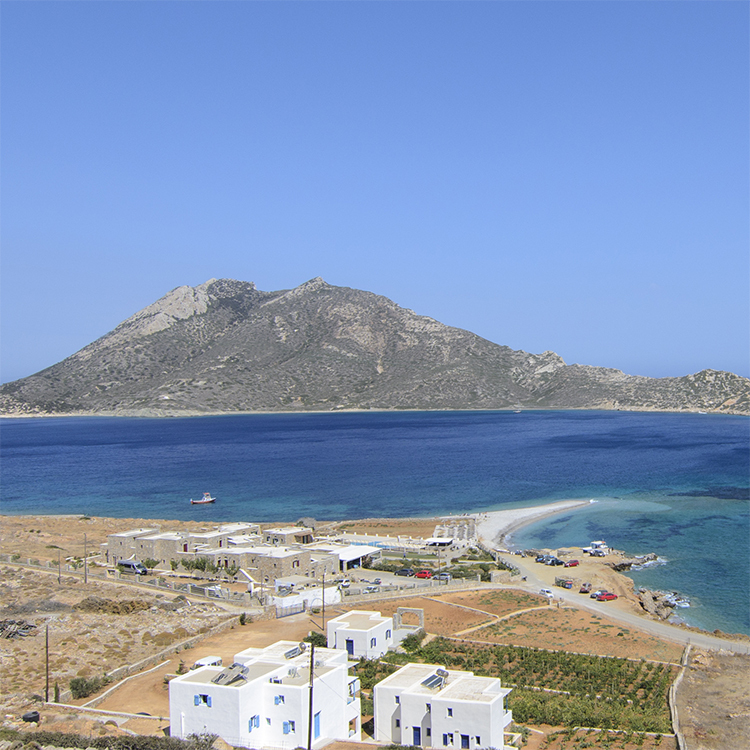 Many significant archaeological, historical and religious monuments can be found on Amorgos. AGIOS PAVLOS where are hotel is located is a beautiful and calm golf just 5 km outside Aegiali. You have the nice beach just in front of the apartments with a taverna next door and the bath boats which go over to the island of Nikouria. THE PORT AEGIALI with three picturesque hillside villages; Langada, Tholaria and Potamos is the nearest port, just 5 km from our accommodation. It is a charming bay area with a sandy beach and a variety of restaurants, shops and bars.